This is a partnership initiative to promote bee-friendly gardening, funded by the Heritage Lottery Fund (HLF) and led by Coventry University Centre for Agroecology, Water & Resilience in partnership with Garden Organic, the Royal Horticultural Society (RHS) and Bumblebee Conservation Trust. The aim is to engage the public to explore which bumblebees visit their gardens and allotments and discover which flowers are bumblebee favourites. Observations over this two year project will help to develop a better understanding of which bumblebee species visit gardens and allotments and which flowers we should grow more of. 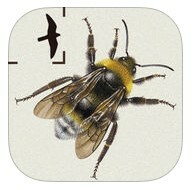 This will then help to inform bee-friendly gardening such as our Bee kind tool or the RHS Perfect for Pollinators list. 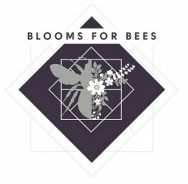 To find out more about the Blooms for Bees project please visit www.bloomsforbees.co.uk or search ‘Blooms For Bees’ in the Apple Store or Google Play and download the project app (available from 30 July 2016). A Field of Dreams is an aspirational project to create Cornwall’s first centre of excellence for bumblebees. The Bumblebee Conservation Trust are working in partnership with the Duchy of Cornwall Nursery and other landowners in the Fowey valley. We are converting a disused field into a permanent Bumblebee Garden that will be free and publically accessible. Other areas such as orchards will be under planted to create traditional English meadows rich in wild flowers. The garden will link via a woodland walk through the Fowey Valley to Restormel Castle. The route will be way marked, with interpretation and appropriate additional planting of trees, shrubs and wild flowers to encourage bumblebees. We hope to inspire and educate gardeners, the general public and schools about the importance of bumblebees, their role in pollination and using the garden to demonstrate what simple, practical steps we can take to provide suitable plants to help save our bumblebees. This has all been made possible thanks to the generous support of the Hatcher Animal Welfare Trust. Kent Wildlife Trust is leading on this three-year HLF-funded project which provides funding for a five month trainee position. The Trust is a partner on this project therefore we will be benefiting from the support of one trainee from April-September each year of the project. The trainees will receive training in bumblebee and wild flower identification, habitat management, working with different farmers and land owners and public outreach. The trainees will support the Short-haired bumblebee project in the east of Romney Marsh. Our overall targets are to work with nine new landowners, establish five new bumblebee transects, recruit five new volunteers and undertake outreach events. The Living Levels Landscape Partnership Scheme, being led by RSPB, aims to reconnect people and communities to their landscape and provide a sustainable future for the Gwent Levels. If the bid is successful, the Living Levels Landscape Partnership Scheme will begin in January 2018 – April 2021. ‘Pollinating the Levels’ is one project within the scheme. It aims to conserve and connect pollinators in the Gwent Levels, as well as gather data on pollinator populations and raise awareness about pollinators and the services they provide. Engagement, advice and training will be provided to landowners, partner organisations, local communities and volunteers on how to conserve and enhance populations of pollinators. The project also includes capital funds for habitat restoration/enhancement and creation works. The Republic of Ireland’s national centre for wildlife recording, runs a BeeWalk-equivalent Bumblebee Monitoring Scheme. We collaborate with the NBDC on research to build up a picture of bumblebee health across all of Britain and Ireland.